Jared Kushner says says he only had four contacts with Russians during the presidential campaign of his father-in-law, Donald Trump, and that of them were improper. Neither he nor anyone else colluded with the Russians, he added. “I did not collude with Russia, nor do I know anyone else in the campaign who did so,” Kushner said. Earlier in the day, the senior White House adviser released the text of his 11-page statement, explaining the foreign contacts he had during the campaign and the transition period following Trump’s electoral victory. “I did not collude, nor know of anyone else in the campaign who colluded, with any foreign government… I had no improper contacts. I have not relied on Russian funds to finance my business activities in the private sector,” he said. BREAKING: Kushner denies reports that he suggested a 'secret back channel' for communications to Russian ambassador. Kushner said he had “perhaps four contacts with Russian representatives” during the election campaign and the presidential transition period that followed. Kushner’s meeting with Russian-American lawyer Natalia Veselnitskaya back in June 2016 was “a waste of time,” Trump’s son-in-law said, adding that Donald Trump Jr. invited him to the meeting, but when he arrived, he heard the lawyer discussing the adoption issue. 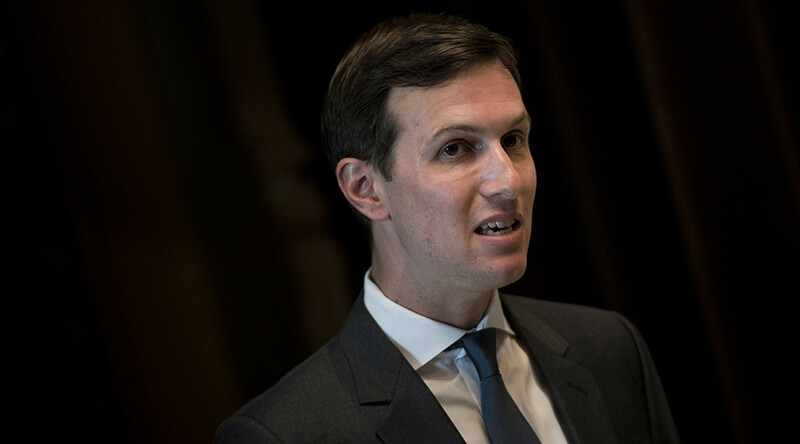 “No part of the meeting I attended included anything about the campaign, there was no follow up to the meeting that I am aware of, I do not recall how many people were there [or their names], and I have no knowledge of any documents being offered or accepted,” Kushner said. BREAKING: Kushner: I did not read Trump Jr. email exchange that mentioned Russian government effort to help Trump campaign. Earlier, media reports alleged the Russian Prosecutor General’s Office could have brokered the meeting. However, Denis Grunis, who heads the international cooperation department of the Prosecutor General’s Office, strongly denied the claims in an interview to RT. Donald Trump Jr. has also released the full chain of emails related to the meeting with Veselnitskaya, stating that the lawyer “wanted to talk about adoption policy and the Magnitsky Act,” rather than his father’s election campaign. As the scandal was unfolding, Veselnitskaya gave an interview to RT, saying she was prepared to testify before the US Congress on her meeting with Donald Trump Jr.
Kushner also denied reports that he discussed a secret back-channel with the now ex-Russian ambassador to the US, Sergey Kislyak. “I did not suggest a ‘secret back channel.’ I did not suggest an on-going secret form of communication for then or for when the administration took office. I did not raise the possibility of using the embassy or any other Russian facility for any purpose other than this one possible conversation in the transition period. We did not discuss sanctions,” he said. Kushner confirmed his conversation with Kislyak, saying that they both spoke on Syria. “The Ambassador expressed similar sentiments about relations, and then said he especially wanted to address US policy in Syria, and that he wanted to convey information from what he called his ‘generals,’” he said. Kushner disclosed the information in an 11-page statement provided to AP and other agencies on Monday. “The record and documents I am providing will show that I had perhaps four contacts with Russian representatives out of thousands during the campaign and transition, none of which were impactful in any way to the election or particularly memorable,” he said.